Sexual harassment is one of the leading forms of discrimination against both women and men in work environments today. Sometimes, this form of harassment may be engaged in by coworkers or peers. However, all too often, workplace sexual harassment is engaged in by bosses and supervisors. The very people who are supposed to provide leadership and direction may also be the ones who partake in offensive and intolerable behaviors against employees. When an employee is a victim of sexual harassment, or any other form of harassment, and it is his/her boss, manager, or supervisor who is harassing him/her, it can be a difficult situation. Employees will most likely want to prevent or stop the behavior altogether, but may feel intimidated, or worry that they will lose their jobs if they defend themselves or take action. Sexual Harassment is an extremely complex situation for any person to be in. That is why it is imperative that employees seek out guidance and appropriate resources when they feel that they have become victims of harassment in the workplace. Employers are strictly liable for sexual harassment done by a supervisor, manager, officer of the company, or owner. This means the employer is liable for the sexual harassment regardless of whether the employee complained about the sexual harassment before they sued. However, if the employee complained about a boss or higher level manager sexually harassing them and the sexual harassment did not stop after the complaint the employer may be liable for punitive damages. This is different than with coworker sexual harassment in which the employer is only responsible for the harassment once they know it has occurred and more of it occurs. After an incident or cycle of workplace sexual harassment has occurred, the best thing an employee can do is to document the instances and speak with either upper management or the company’s human resources department. Being afraid to report sexual harassment is a great way to ruin and/or devalue your sexual harassment case if the situation is severe or pervasive enough to merit a case of workplace sexual harassment. A good sexual harassment lawyer will always advise that the victim of sexual harassment complain of the harassment. It will be up to higher level management or HR to intervene on the employee’s behalf. Most companies have zero-tolerance discrimination and harassment policies in place that enforce immediate intervention because companies that do not deal with reported harassment or discrimination can be held liable if further legal action is sought by the employee. Many times, employees have no choice but to take the matter into their own hands, and will decide to hire a lawyer. When an employee sees that his/her company is not preventing or terminating harassment, it is always in his/her best interest to retain the services of a skilled Employment Law attorney, like the attorneys at Employment Lawyer Group. An Employment Law attorney can provide thorough representation and reliable legal advice for those who are dealing with supervisor or boss harassment. * We have hundreds of sexual abuse case results over the last 20 years. These are only a few. 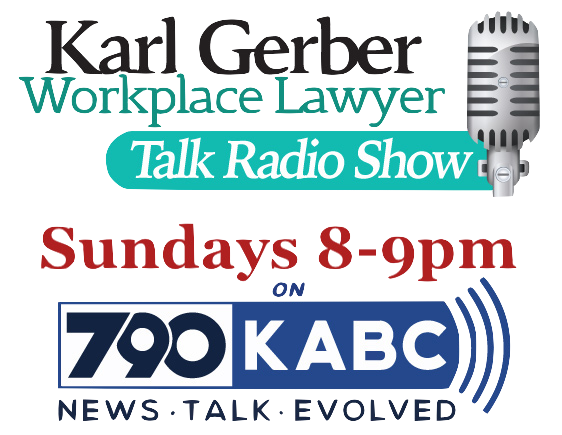 If you would like to speak with one of our knowledgeable Los Angeles sexual harassment attorneys, please call 1-877-525-0700 to start getting results!